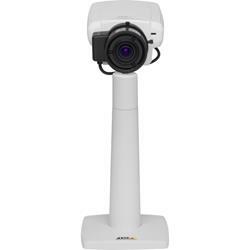 AXIS P1353/-E and AXIS P1354/-E are light sensitive indoor and outdoor-ready fixed cameras that deliver superb image quality with H.264 compression and are ideal for high-performance surveillance in any indoor or outdoor environment. AXIS P1353/-E are SVGA cameras and AXIS P1354/-E provide HDTV 720p or 1 megapixel resolution at full frame rate. Models are available in both indoor and outdoor-ready versions. The cameras provide wide dynamic range - dynamic contrast, and day and night functionality for superb image quality in daylight and dark conditions.